-- NEWSFLASH -- We are delighted to announce that Hampshire County Council have just renewed our training contract until 2017. We have been providing various training courses to HCC since April 2005 - training approx 6,000 delegates! We thank Hampshire County Council for their custom and look forward to continuing our successful relationship. Our First Aid at Work courses are ideal for individuals required by their employer to undertake the role of workplace first aider in compliance with Health & Safety (First Aid) Regulations. Our First Aid at Work is an 18 hour course, taking place over three days, and is for companies whose hazard risk assessment is deemed higher than "low hazard risk" companies - e.g. offices, shops, and libraries, for example are generally classed as low hazard risk. The HSE describe "higher-hazard risk" companies as light engineering and assembly work, food processing, warehousing, extensive work with dangerous machinery or sharp instruments, construction, chemical manufacture etc. However, the HSE then "muddies the water" by asking all organisations to consider their own "individual hazards" and also other factors when determining their level of risk. It is always wiser to avoid any doubt and ensure full compliance with the HSE by having enough employees trained at this higher level. If you are not sure whether your business is low or higher risk, please ring us for advice. Our First Aid At Work Requalification course is a 12 hour course, taking place at the same location over two days, and is ideal for existing workplace first aiders who need to renew their qualifications in compliance with Health & Safety (First Aid) Regulations. Renewal is necessary after three years from initial qualification but an earlier refresher is always to be recommended. Do please remember you need to train more than one member of staff to ensure cover at all times (Holiday, sickness etc). Certificates will be issued on successful completion of the courses. 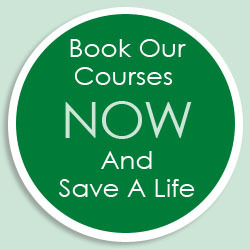 We only have a few spaces left on these courses so book today to reserve your place. It's actually quite a shock to discover how many children in our area are effectively behaving as carers for their adult relatives. So, when we were approached by the support charity, South and Vale, in partnership with The Guideposts Trust and asked to create a bespoke life-saving first aid training course for young carers, we naturally accepted. We were delighted to help and about twenty 8 to 18 year-olds were recently trained at Abingdon Health and Wellbeing Centre in Crabtree Place. "I'm so impressed with the young carers. They are all responsible, respectful and without a selfish bone in their body, but are still children and haven't lost their childhood." Please click here to read the whole story in The Oxford Mail. If any other groups would like us to run first aid training courses for young people, please email us at info@ocfa.co.uk or call us on 01235 810619. It was the most innovative well explained course'. In this month's Hints and Tips, we are looking at what to do if you suspect that someone has broken their ankle. The basic rule is that if you are not sure whether a bone is fractured, treat the injury as if it is and do NOT try to straighten or reposition the fractured limb. Congratulations to Mark Shaddick from Campion Hall at the University of Oxford, who correctly answered that Kevin Whately is the name of the actor who plays Robbie Lewis in the eponymous TV series. Mark wins a delicious Ben's Cookies Hamper as his prize. This month, we have a £40 voucher for a meal for two at Brown's Oxford - an iconic Oxford landmark occupying nos 5-11 Woodstock Road, which is still as popular today as when it first opened! "In which year did Jeremy Mogford open his first Brown's Restaurant?" Email your answer and contact details to Jane at: info@ocfa.co.uk and we'll draw one lucky winner from the correct answers on Friday 23rd October 2015.